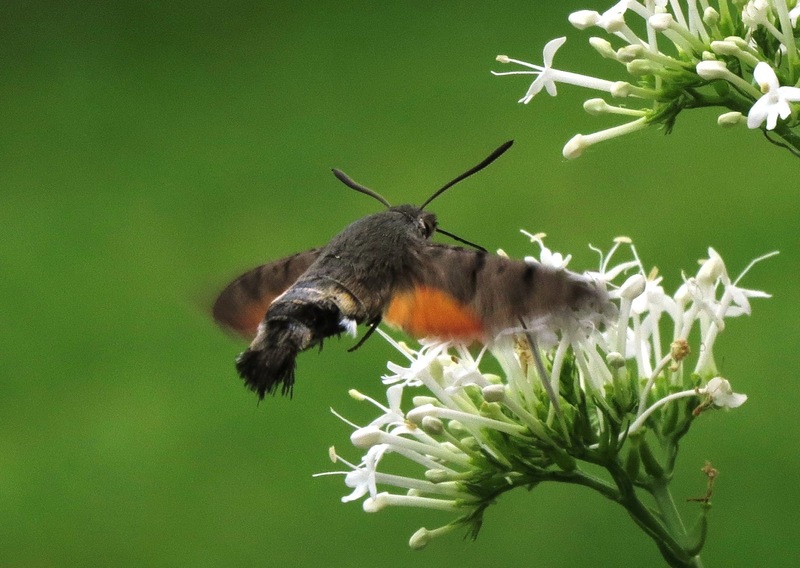 I was pleased to see this Hummingbird Hawkmoth on the white Valerian this evening. My first sighting this year, after several local reports. This photo shows the proboscis deep in the flower. Excellent photo Mike. 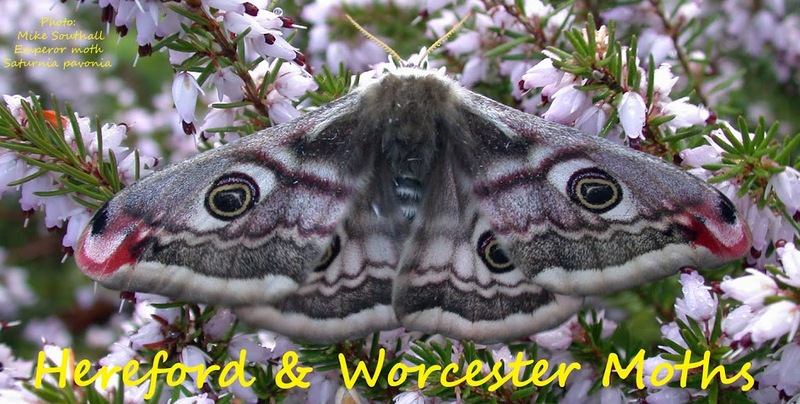 Saw one at Wigmore Rolls yesterday and 2 days before in the garden here, so perhaps we could be in for a bumper year. Yes, well done with the photo Mike! Thanks both. I was hoping to freeze the wings, but 500th of a second was not fast enough. I think you need the blurred wings to indicate the moth if hovering.